A faultless, high-mileage day for Charles Leclerc ensured Ferrari remained at the top of the timing sheets on day two. 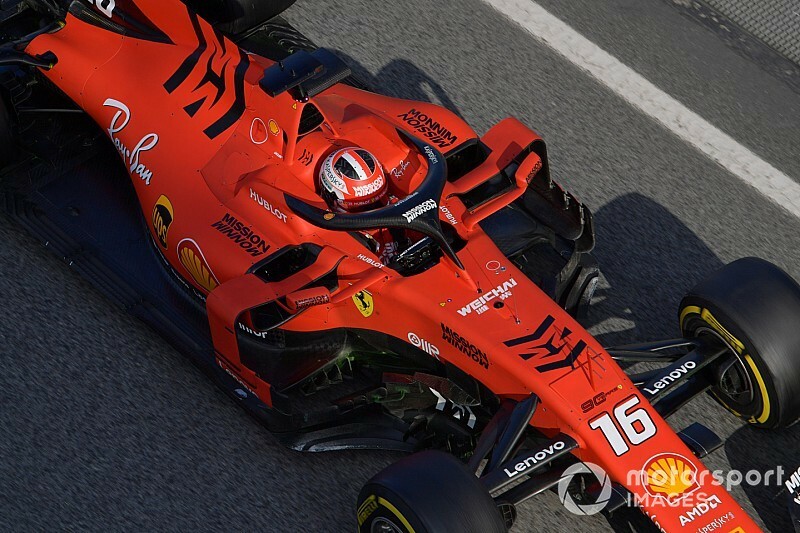 Ferrari's successful preseason testing period showed no signs of ending after a fine display from their newcomer, who finished the day three tenths of a second ahead of McLaren's Lando Norris, another standout performer. Setting his best lap on the C3 compound, the middle of Pirelli's five-tyre testing range, in the morning, his effort of 1m18.247s would be largely unchallenged as he spent most of the test day one second ahead of the nearest car. For comparison, his lap time was just one tenth off the time set by his four-time champion team-mate Sebastian Vettel, who also set the testing benchmark on the C3 tyres. Ferrari as a team have also clocked over 300 laps over the first two days (169 on day one, 157 on day two). The only time another car dipped below a 1m19 lap was when Norris - equipped with the faster C4 tyre - jumped up the order to go second fastest with a few minutes to spare, setting a 1m18.553s. It would also secure second place for McLaren for the second day in a row, and give them one of their most successful starts to preseason testing in recent years. 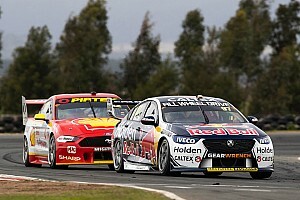 “We got over 100 laps, which was the main positive. I think mileage was one of our main things to improve on, compared to the last couple of years," said Norris after the second day. “I managed to do some longer runs, something which I haven’t really done in any other tests so far. For myself, it’s good to know that we can get through pretty much a whole day without any problems. Kevin Magnussen gave Haas another fruitful day by finishing third, despite having to cut his day short due to discomfort from an ill-positioned headrest. This prompted Haas to give the final hour or so to junior driver Pietro Fittipaldi. A current, and a junior member of the Red Bull team all brought out the red flags during day two. Like day one, the red flags were deployed after only a couple of minutes of the morning session. This time, it was Toro Rosso's Alexander Albon, for spun off at turn four on his first lap out of the pits. 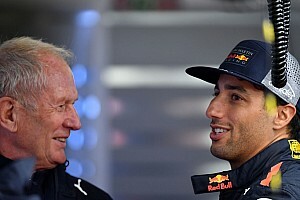 A second stoppage was almost caused by recent Red Bull leaver Daniel Ricciardo. However, his was caused by a rear wing failure which sent the Renault driver into the gravel trap at turn one. He was able to recover back to the pits, however. New Red Bull recruit Pierre Gasly triggered the only red flag in the afternoon session by losing control of his car on the exit of turn eleven and crashing out at turn twelve. Albon made a very strong recovery by racking up the second-highest amount of laps with 132 and setting the fourth-fastest time, ahead of Alfa Romeo's Antonio Giovinazzi, who also hit a century of laps in a strong session for the Ferrari-powered teams. 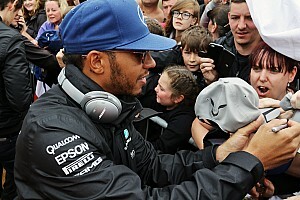 Valtteri Bottas finished sixth as Mercedes continued to focus on longer runs and everything except outright pace, as emphasised by team-mate Lewis Hamilton finishing down in tenth place. Gasly pre-crash efforts were good enough for seventh place, ahead of the Renault duo of Nico Hulkenberg and Daniel Ricciardo, who were separated by less than one tenth of a second. Racing Point's Lance Stroll and Fittipaldi's brief 13-lap stint were at the foot of the timing screens.